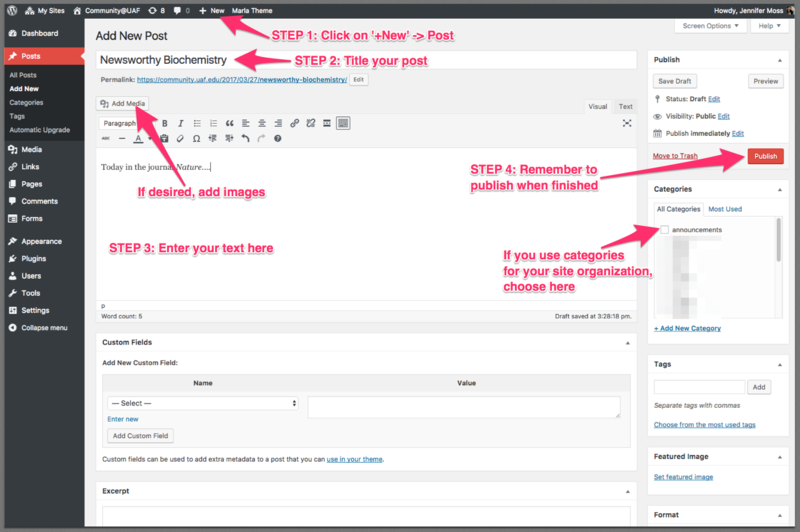 Setting up your WordPress website for a course or project shouldn’t be hard. There is a small learning curve but the more you use it, the more you will see how easy it can be. 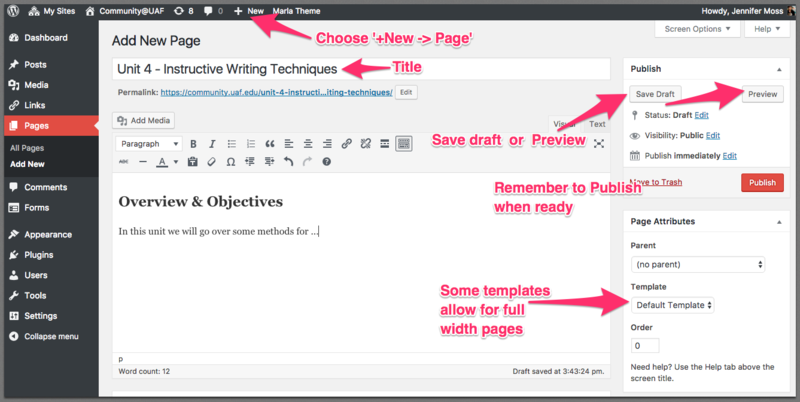 WordPress.org provides a good in-depth overview of how to get started on their Codex pages. 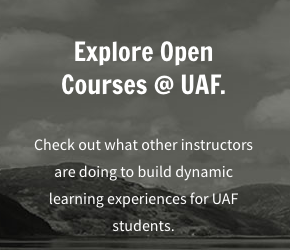 If you are teaching an online course and would like to meet with a designer to help you get started, please come to one of our Open Lab or Virtual Open Lab sessions at UAF eCampus. 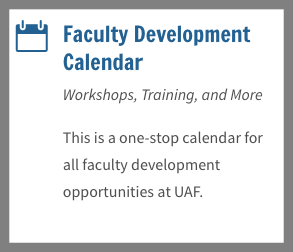 Before you come in, you might want to explore what other faculty are doing in their open courses at UAF. If you are missing a login link, you can go to Widgets-> and add a ‘Meta’ section to the sidebar. The ‘Meta’ widget includes a log in link. Login to Community and then click on the ‘My Sites’ link at the top left, you will find all the course websites you are a member of. What do I need to do each semester for my class? It depends on how you are using WordPress for your class. If your students are posting and commenting on the site, you need to change the status of comments and posts from the previous semester to ‘pending review’ or ‘draft’ (not delete). Also, change previous students to ‘subscribers’. 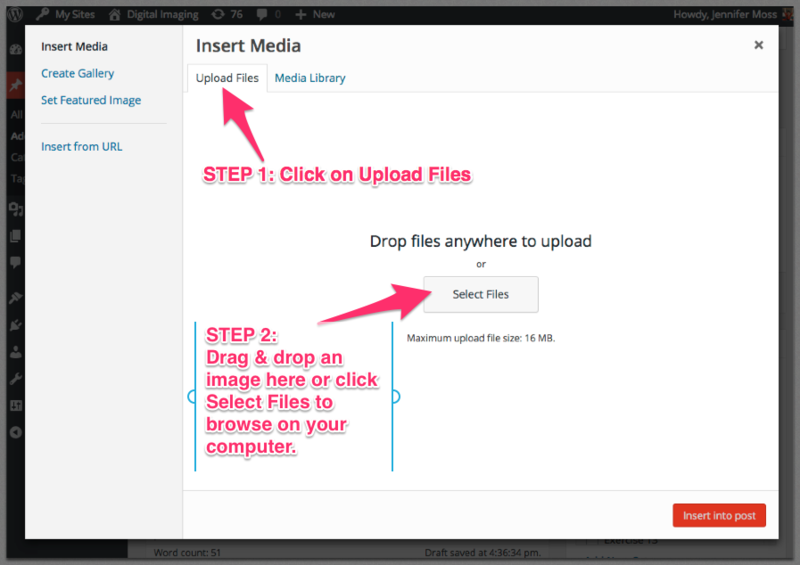 OR you can download a backup of the entire site including posts (tools -> export) in menu before disabling students. Please come see us at eCampus for instructions. Otherwise, just make sure everything is up to date, links are functioning properly, and theme and plugins are operating as expected. Please come into UAF eCampus for Open Lab or Virtual Open Lab if you have questions. ‘Posts’ (as opposed to ‘Pages’) are generally used for content that should be viewed chronologically. Blogs, for example, is the word for a series of posts that are displayed based on the time created. 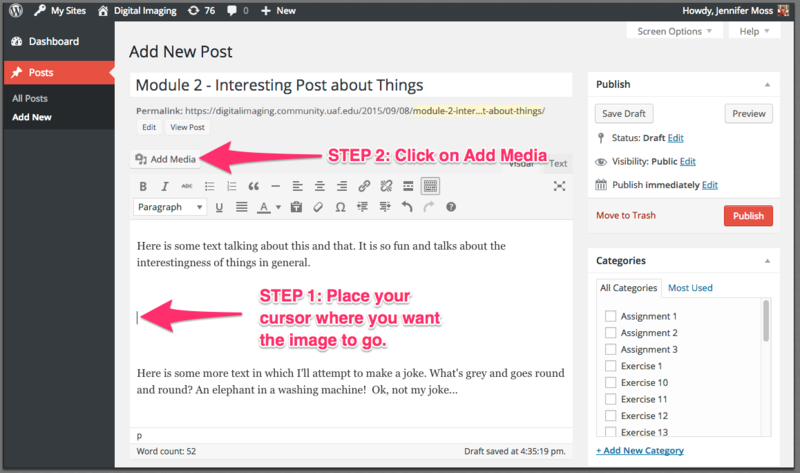 Posts can be used as a discussion tool – students would either create their own post or they might reply to a post. ‘Pages’ are best for content that doesn’t change too often – like the syllabus, course schedule, lesson pages, about the instructor, etc. How do I add an image in my Post or Page? 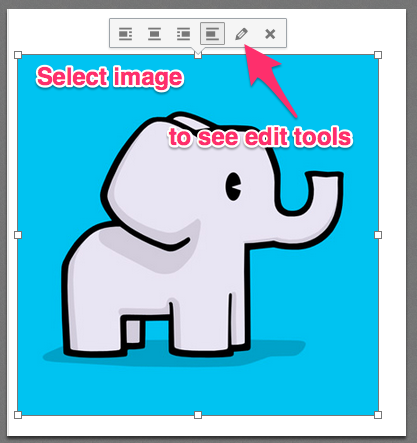 Once the image is in your post or page, to make edits, select the image and make a selection from the popup window. The first four icons set the layout, the “pencil” icon will give you edit options, and the “x” icon will remove the image from your post (but not the library). How do I add a video to my Post or Page? How do I format text on my Post or Page? NOTE: Your Dashboard may look slightly different from this one, however the procedure is the same. 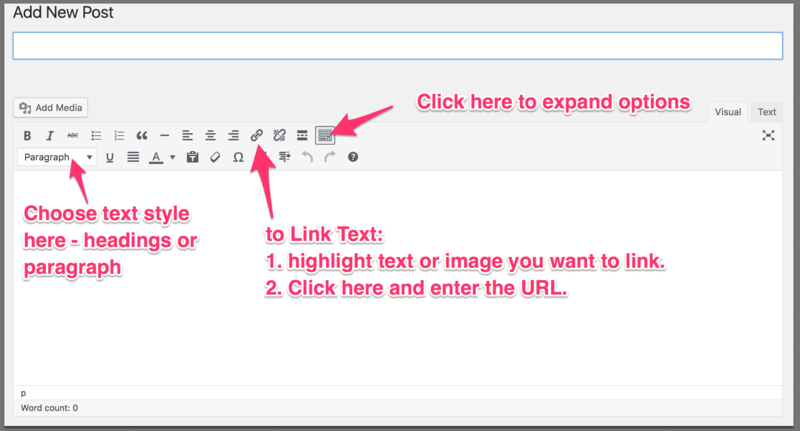 If students are authors on your site, you will want to let them know that they have the option of setting a nickname and choosing how their name is publicly displayed for FERPA regulations. Their Usernames will never change and should match their UA ID so you can keep track. How do I change my Avatar photo? There is a plugin you can activate on your site called Simple Local Avatars that will allow for everyone to upload a photo to the site. From the Dashboard, go to Plugins and search for ‘simple local avatars’, then click on Activate. Most themes on Community will automatically use Gravatars – globally recognized avatars to personalize your posts. Get your Gravatar by going to: http://en.gravatar.com/. You will need to sign up for an account. Once you have a Gravitar, your picture will appear next to your posts and comments on both Community and all WordPress blogs! 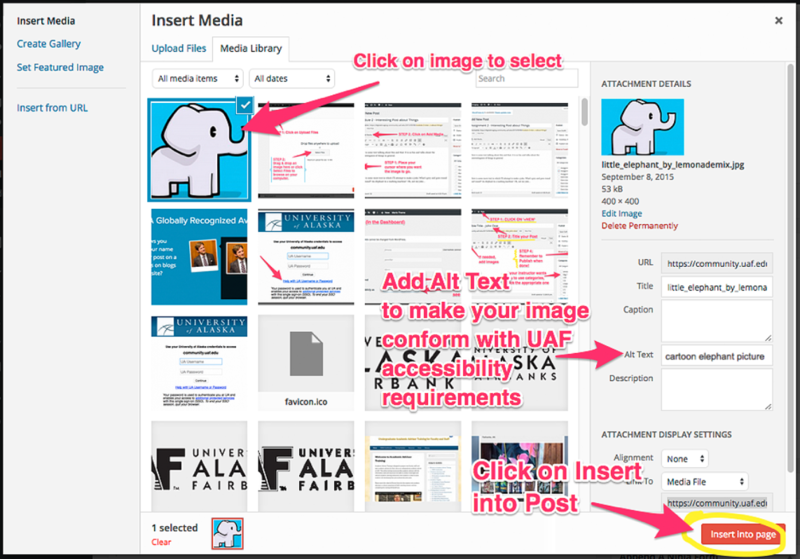 Answer: Community@UAF is a WordPress installation for the University of Alaska Fairbanks primarily serving the needs of UAF eCampus faculty in terms of course blogging and open course materials. Community@UAF is a service of the UAF eCampus & Distance Education. 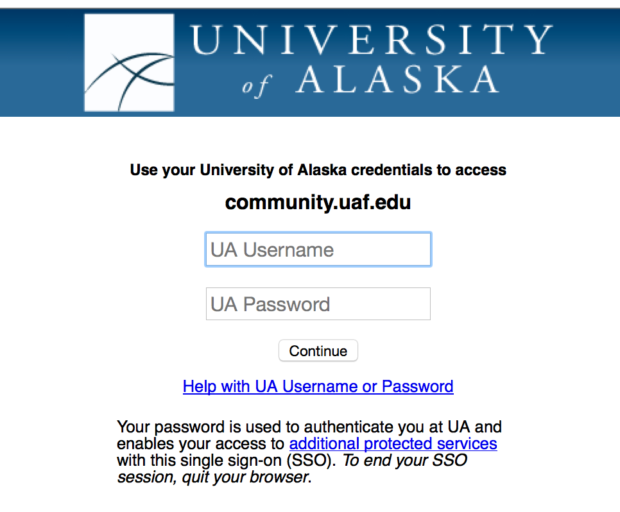 Answer: If you are affiliated with the University of Alaska, you may request your own site. Please provide your name, UA email address, and requested site address on our contact form. At this time automatic signup is disabled. A Community@UAF administrator will create an account and basic blank site for you – most requests will be handled within 24 hours but please allow up to 1 week processing time. Answer: If you are an instructor, please join us during one of our Open Lab sessions, where we can answer questions one-on-one. We also recommend WordPress.tv for how-to tutorials or just googling your question. We will attempt to notify site administrators of major updates and changes that affect everyone. If there is an issue you are concerned about, you may contact an administrator via the contact form. I have a WordPress site that I want to move to a different WordPress installation outside of community, can I export/import my site? Answer: Currently, this functionality is not enabled for general use.